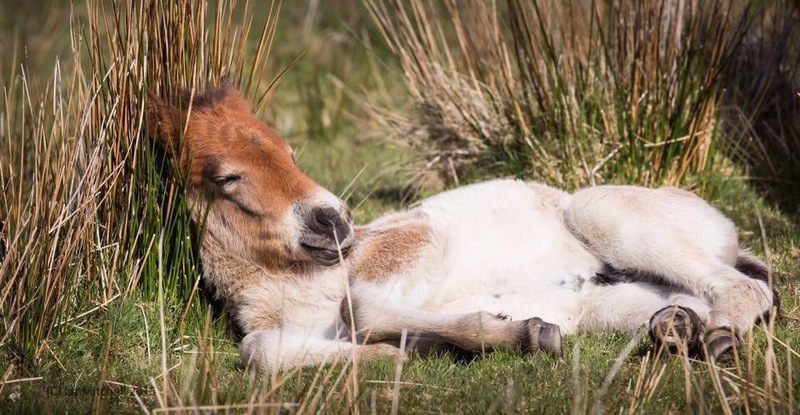 Exmoor National Park has been working closely with the Exmoor Pony Society, the Moorland Exmoor Pony Breeders Group and the Moorland Mousie Trust to develop a number of projects to support free-living Exmoor pony herds. Exmoor ponies are an important part of the landscape of the National Park and one of its special qualities. What makes an Exmoor pony an Exmoor Pony? Trying to find the answer is one of the actions the group agreed on. In addition to the organisations mentioned, the Rare Breeds Survival Trust, Defra, local vet Peter Green and Nottingham University have been working together to work out how to characterise the full genome of the Exmoor pony. The genome is an animal’s complete set of DNA, including all of its genes. If the genome is defined, it will help us to understand where the pony has come from and which other breeds it is closely related to. It could also help to guide future breeding programmes. During the last World War, pony numbers on Exmoor were drastically reduced – meat was in short supply and by the end of the war only around 50 ponies were left. It is from this tiny population that all Exmoor ponies derive. The genetic pool is, therefore, very small and it is important to try and preserve as much genetic diversity as possible to ensure the long term welfare of the ponies on the moor. The team is currently agreeing the scope of work and fundraising for the project. If successful, the first phase will go ahead when the ponies are collected from the moor at the annual gatherings. Samples will be taken from the ponies and analysed by scientists at Nottingham. It is hoped that by early next year we will, for the first time, have the genome of the Exmoor pony. In another initiative, Exmoor National Park Authority has established an Exmoor Pony Grant Fund to promote and conserve free-living Exmoor ponies. Grant applications could include equipment, measures to conserve the landscape using Exmoor ponies, promotion of the breed, marketing or research. 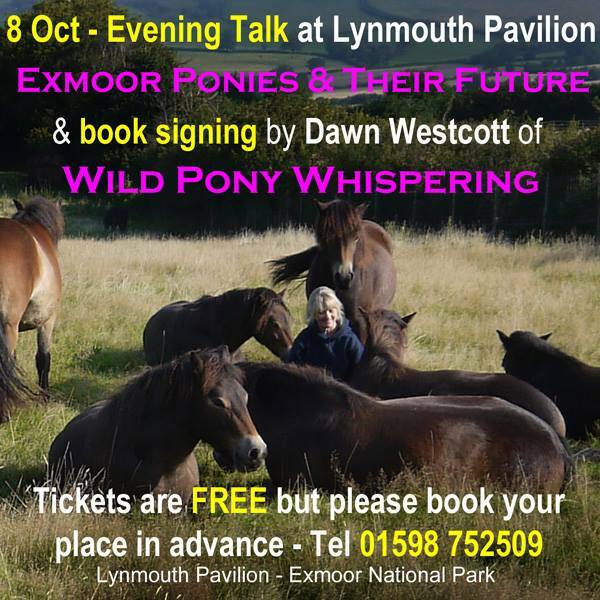 “The Exmoor landscape would be incomplete without the free living Exmoor pony and I believe that the Genome Project marks a pivotal moment in the long term survival of this endangered breed. We are delighted with the progress that is being made and look forward to seeing the results of this innovative project.